This node creates a circular cone-shaped terrain. The height of the vertices are impacted from the outside to the center, radially. 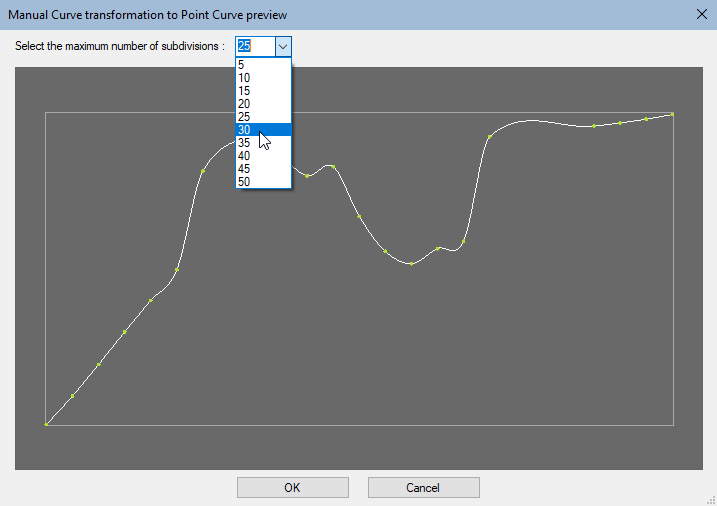 The terrain's profile is edited by a curve. 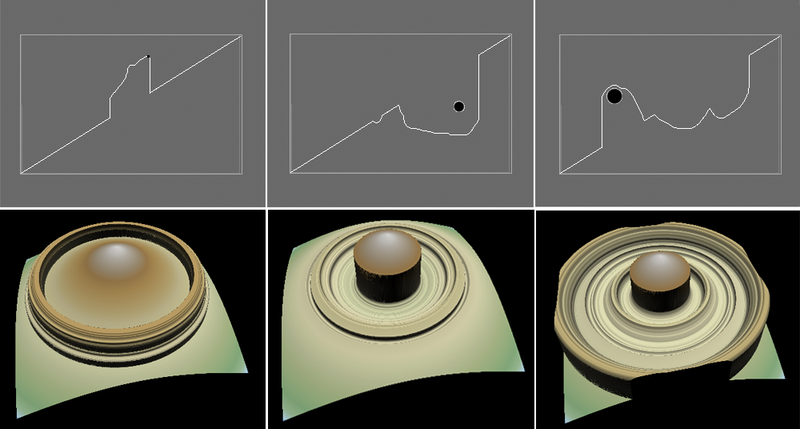 To add a Circular symmetry node, right click in the Graph Editor and select Create Node > Terrain Generation > Circular Symmetry. Learn more about terrains and quads. Using the smallest cursor makes detailed changes to the values; using a larger cursor makes changes to larger areas in the circular symmetry. Click and drag the mouse to change the circular symmetry values. 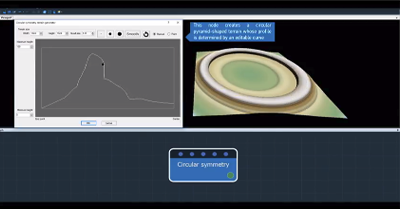 Watch our Circular symmetry node video tutorial. 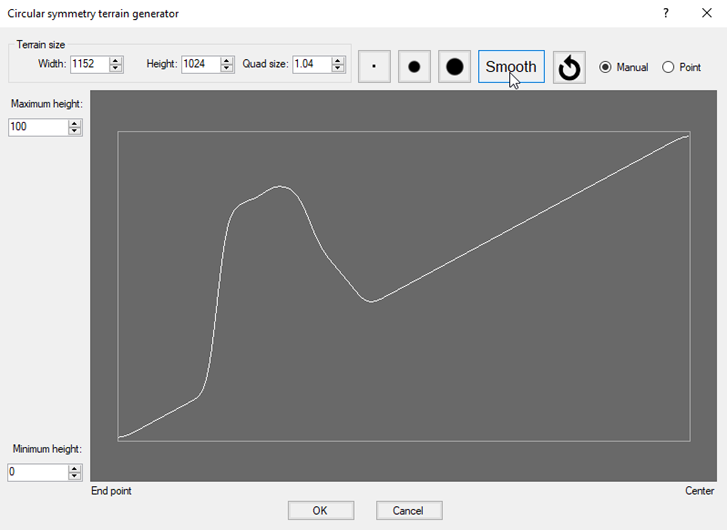 Toggles between the manual curve and the Point curve editing modes.